The Quote Box content type allows you include a quote with a graphical treatment to your website. Find the page you want to add the Quote to and click Edit. The Quote content type is in the Content Below Main section. This means the graphic spans the width of the page, and cannot be moved into the narrower part of the page. 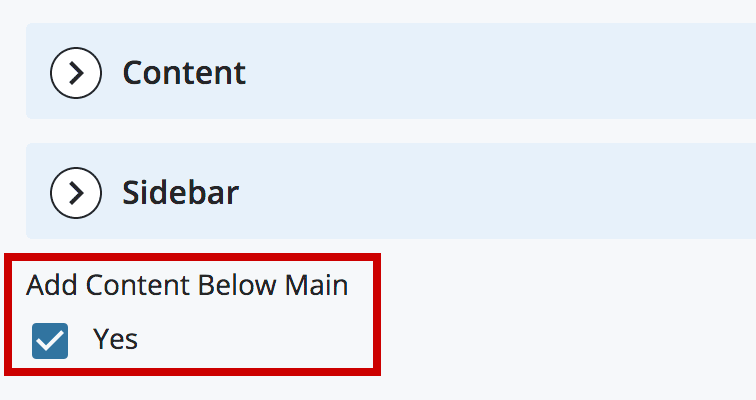 If this page does not yet have any Content Below Main content, you will need to select the Add Content Below Main checkbox to show that content. 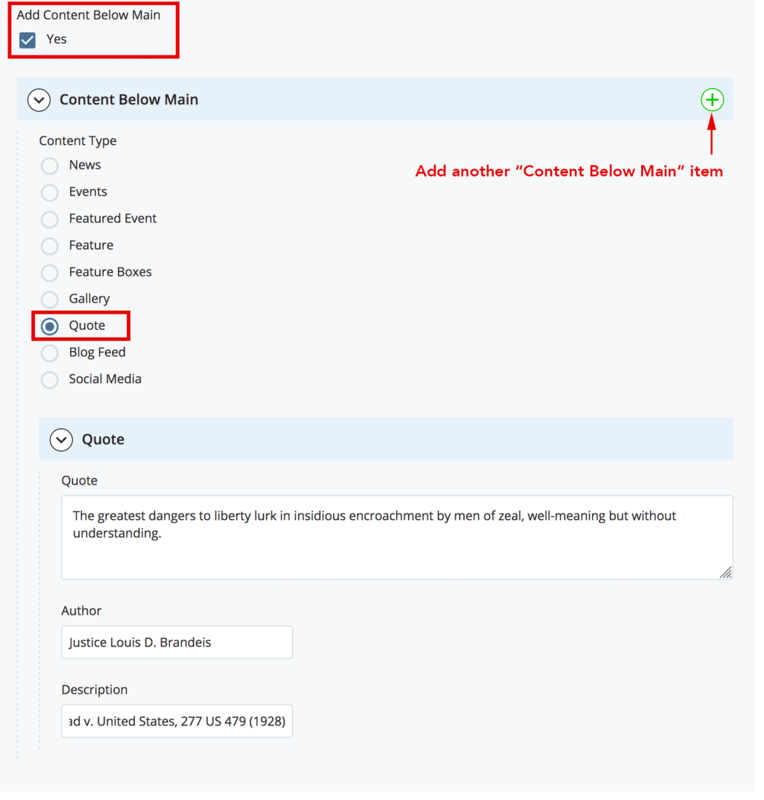 Once you have an empty Content Below Main item, select the Quote radio button and expand > Quote. Note: Quotation marks will be added automatically; you do not need to enter them in the text.